Our rattan vase set is perfect for enjoying a nice drink in the garden or chat with friends on the patio. Sit back in one of the two chairs and relax in a comfortable style. When not in use you can stack the chairs into a vase shape that's both practical and attractive. Our furniture is designed to be strong and lightweight. •New Range, novel stackable vase design. 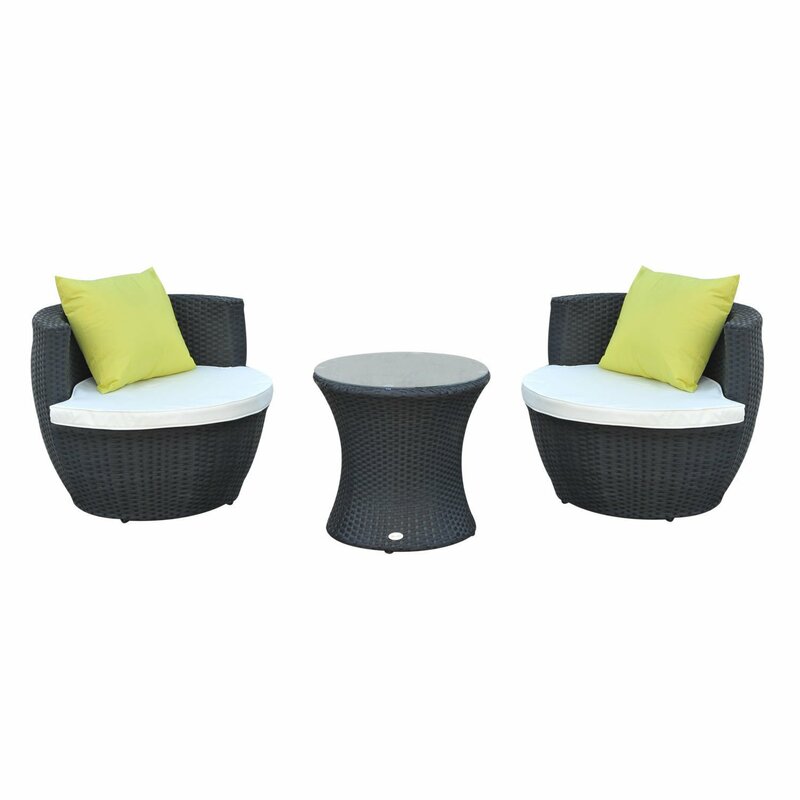 •Made from high-quality durable PE rattan, fully weatherproof & UV resistant so will not fade in the sun. •Cushions which are filled with 23D fire retardant sponge offer you extra Comfort. They exceed UK standard regulations. •Cushions complete with zipped covers which are made from high-quality 180gm polyester fabric which can be removed and washed. •Table comes with 5mm transparent tempered glass. •Adjustable pads on chair base ensure stability. •The whole set is designed to live outdoors all year round; any dirt can be easily wiped off, offering effortless maintenance.